As I write this post, my precious almost-two-year-old granddaughter is sleeping soundly in the room next door. I know without a doubt it’s soundly because she fell asleep in my arms while I rocked her, while I carried her upstairs and lay her down, covering her with a soft blanket, and ten minutes later when I dropped a jar of blackberry jelly on a tile floor. For those who aren’t as graceful as me (a little sarcasm there) and have never done that, let me tell you it makes an earth-shattering noise that could wake the dead and sends tiny glass shards spraying across the entire kitchen floor. Shards so tiny that a broom will not sweep them and a good vacuuming is required. After which, I peeked in on my granddaughter and the angel hadn’t stirred a muscle. I can’t remember the last time I slept that well. She’s staying with me while we eagerly await the birth of her little brother or sister. 1.) My grandchildren. Seeing the looks on the faces of three precious grandchildren when they wake up early in the morning to see me there because their mommy and daddy went to the hospital to give them a new little one. Time spent one-on-one with one of those precious little ones, in whose eyes and behaviors I see glimpses of her daddy, giving me the joy of memories when he was a child. And little arms that circle my neck as she presses her forehead against mine. Watching her dance with all she’s got to the song Let it Go from the movie Frozen. 2.) A visit from my other son telling me the details of his day with such enthusiasm and passion, leaving with a hug and an “I love you, mom.” Those words are priceless. 3.) Watching the sunrise, a crisp white blanket of a recent snowfall around me, the mountain backdrop, from the beautiful heat of a hot tub. What tops your gratitude meter this week? ***Update and addition to number 1: My three granddaughters have a new little sister and I have a new granddaughter. Child of my child, heart of my heart. I am young again, discovering the world through your eyes. Delighted to gaze at familiar, loved features made new in you again. Through you, I see the future. Through me, you’ll see the past. The past several months have been beyond busy with my day job and evenings and weekends spent writing. 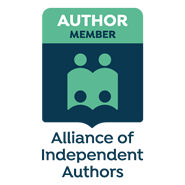 So in order to maintain a healthy balance, after the recent release of Shear Murder on Kindle, book four in the Melanie Hogan mysteries, and working to release the print version sometime in the next week, I’m taking a two-week break from blogging. See you on the other side. Work hard. Play hard. In 2015 I joined the My One Word movement. This movement is an opportunity to choose one word that best determines how you would like your life to grow in the coming year. It’s much more realistic to focus on one word for the year than set New Year’s resolutions, only to break them by the end of week two. I admit I still set goals, but those goals circle around my one word. I write out bible verses that address the chosen word(s), and read them frequently. In the past I’ve chose the words Grace, Love, Listen, Risk, Silence, and Kindness. Being the rebel that I am, this is the second year I’ve chosen two words because I couldn’t decide between them and both are equally important to me and areas in which I desire to grow. Those two words? Mindful–Being mindful of each moment, each breath, my thoughts, words, and actions. Being mindful of the relationships I choose to nurture and grow, ending those that are toxic. Being mindful of how I spend my time so it’s not frittered away. Being mindful of making each moment count. Being mindful of what I eat, why I eat, when I eat. Being mindful of the words that come out of my mouth, that they may only build others up. And being mindful to love others rather than judge. Enough–In November and December I participated in an online bible study with Proverbs 31 on the book Breathe by Pricilla Shirer. It taught me about the importance of Sabbath, how busyness can hold us hostage if we’re not careful and that it’s critical to take time to cease from all activities, to take time to simply stop and breathe. When we’re rushing through the day to cross off our to-do lists and rushing to the next thing, and the next and the next, we’re missing out on enjoying the life we’ve been given. Peace, tranquility, and serenity cannot be found when we’re in a flurry of constant activity. We have to know when enough is enough. It’s important for me to remember that as I am, I am enough, that there is no need to compare myself to others or allow others’ successes to make me feel less than. What I have, I have enough. I have all I need. More only clutters my life so that I don’t see all that I already have. What I do, I do enough, so long as all that I do is done in love. I can say ‘no’ without eloquent explanations and let that be enough. There is no need to continually continue for the sake of staying busy. Whether you make resolutions, set goals, or participate in the My One Word movement, I wish you great success. Happy 2019! Shear Murder, book four in the Melanie Hogan Mysteries, is now available on Kindle! Paperback soon to follow. Book comes complete with two delicious recipes at the end, submitted by Minnesotan Kerri Keprios. Happy New Year to all of you. May your new year be filled with love, joy, peace, good health, and many blessings. I’ve written plenty of posts over the years on gratitude. 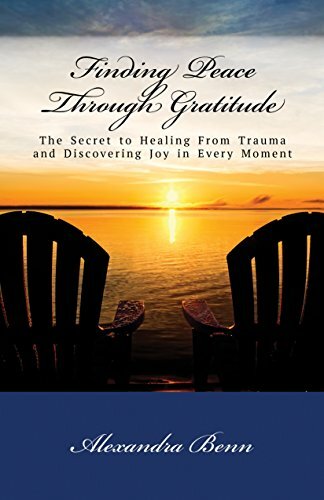 I’ve even authored a book called Finding Peace Through Gratitude: The Secret to Healing From Trauma and Discovering Joy in Every Moment, written under pen name Alexandra Benn. It’s in large part because of gratitude that I have the life I have today. It’s gotten me through everything from monumental life events to seemingly infinitesimal daily matters. It’s gratitude that has lifted me from the depths of despair and painful moments I couldn’t see my way thorough. It’s gratitude that has carried me through the death of loved ones and fully appreciating my loved ones still with me. It’s gratitude that makes me focus on all that I have instead of desiring that which I don’t. Gratitude is a state of mind, a decision, a choice. It’s choosing to look at the glass as half full instead of half empty. It’s choosing to look at what you have with appreciation and thanks instead of pining for that which you don’t. It doesn’t mean you have to be grateful for pain that hurts beyond anything you’ve ever felt, but I promise you there’s something in that painful mess that you can be grateful for. Death of a loved one? You can be grateful for the time you had with him/her. For the experiences you shared. For the memories you can cherish. Victim of a crime? Help other victims of crime and feel gratitude that you’re able to use it for good. It transforms you from victim to victor. Passed up for the job promotion you worked so hard for? Reach deep to find gratitude that you have a job and that you have the opportunity to try again. In fact, express your happiness for the person who did get it, and you will feel like the winner. Chronic illness? There’s always someone who’s worse off. I’m not suggesting your illness/pain isn’t real and I’m not diminishing it in any way. (I, too, had a long run with chronic pain in my past with fibromyalgia.) But if you choose to focus on and be grateful for the health you have in other areas, it makes it so much easier to bear. So all of this being said, it’s this time of year that I love to reflect on the past year(s) and swell with gratitude for all that I have and all that I have accomplished. Every New Year’s Eve I journal these things as a permanent visual reminder of how blessed I am. On those days life is especially hard, when I’m tired and worn, and when it’s hard to see the blessings, I pull that journal page out and review it. And then I’m so grateful for the practice that I’ve cultivated. What from this past year are you grateful for? I’ve found two short quotes that speak volumes about the Christmas season. Thought I would share. How many observe Christ’s birthday! How few, His precepts! Then the Grinch thought of something he hadn’t before! What if Christmas, he thought, doesn’t come from a store. What if Christmas…perhaps…means a little bit more!